Both Avi and I had such a wonderful time. DJ Rohit and MC Gino were great! They were great with the crowd and the music was on point! My cousins(younger generation), friends, and aunts/uncles were able to enjoy everything that was played. We are so appreciative that Gino took the time out to come check on us at our table throughout the night. He even brought a drink over to our table for us. He was very personable and the entire team received a lot of compliments from our friends and family. Thank you so much for making the planning process as simple as you did with no added stress. You were very patient with me also with my last minute itinerary prep. Thanks again! We look forward to working with your team in our next big event. And we will definitely spread the word to our friends and family. Amazing work. Linda and I were very impressed by your professionalism and skill. 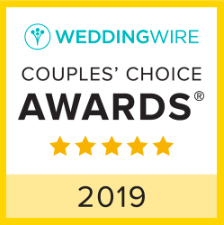 Our guests spoke so highly of you, and you managed to keep the energy up while maintaining the classic ambiance that Linda and I were going for. Thanks for everything. We will be sharing your name and company with our friends and family. Avi - you crushed it. Awesome job on managing the crowd and the whole night. Thank you for everything. Glad we could get DJUSA into the mix. Have shared your name with the planning committee as well (Katherine and I are students so won't be there next year) so hopefully becomes repeat business! Everyone cannot stop talking about how great you were and how much fun everyone had at the party!! It was a really great kickoff to all the festivities to come! Rony ( Ashish ) also told me how great you were with the program and all the changes and helping to move the program along. Thank you for all of it! We wanted to sincerely thank you for the phenomenal experience that you provided at our wedding reception. We knew that it would be good, but you surpassed all of our expectations. From the start, you were extremely flexible and accommodating with the pricing, packaging and availability. There was always a line of communication open which confirmed the professionalism of you and your team. We appreciated your suggestions for improving the atmosphere for the reception as well as the timeline to keep the energy flowing. When we arrived, you were well set up and ready to perform. Once again, a common courtesy that is not always attended to, however made a great impression on us. The lighting and sound were optimized for the venue and for the transition from sunset to night. This made our venue more grand and was noted by all of our guests. It was also reflected in our pictures and we are highly appreciative of this. The precedence you set by having all of our guests from the mezzanine come down to join us at the beginning of the evening was highly insightful. Everyone could feel that they were part of the celebration. Now for the music! Wow!!! There was clearly a tremendous amount of research and preparation in putting together the sets. We had a large and diverse group of guests in regards to age and background. We loved the Bollywood music and were left pining for more. The tempo kept everyone dancing and raised expectations for more to come. The Nigerian music you played, new and old, was on the mark. Akin\'s family has been to numerous Nigerian weddings and this was the best mix they have experienced. No one would believe that this was your first Nigerian wedding and we kept being asked how you did such a good job. Also, you were the only one who correctly pronounced everyone\'s name that day! Even our priests, Hindu and Christian could not figure our names out. The night was truly an amazing experience. We are grateful that you were able to be there and were fully invested in making our night special. Many of the adults and kids, well past their bedtimes, did not want to leave. We had no idea when it was time to put the night to a close. We have already and will continue to fully recommend you and the DJUSA team for future events. Once again, thank you, thank you, thank you!!! DJUSA was amazing! 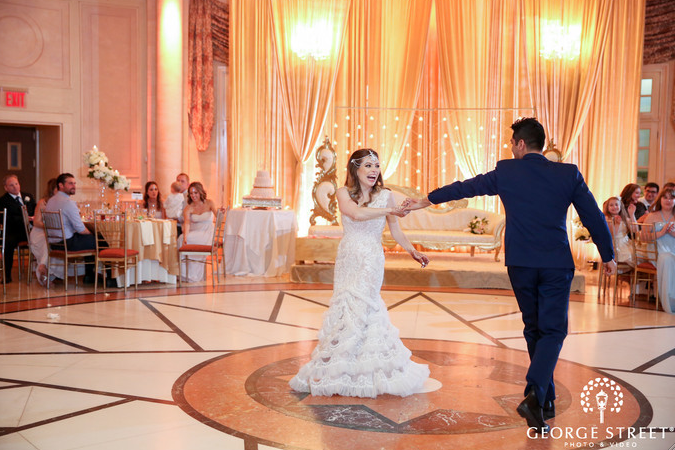 DJUSA did our music and lighting for the ceremony and reception and we couldn't be happier!! All our guests remarked on how amazing the music was- the dancefloor was packed the entire reception :) We wanted a fun, festive and upbeat mood and that's what DJUSA delivered. We worked with Avi throughout the planning process and he was very organized and thorough - I felt comfortable that he was as meticulous as we were when it came to the planning. Rohit MC'd the ceremony beautifully and the reception was one big party. We went with pin spot lights during the reception and the tables looked gorgeous. Rohit was so experienced - we just had to give him a flavor of the type of music we liked and he created a playlist that nailed it! More than a few guests have asked for a soundtrack of both the ceremony and reception! Guests always remember the music at a wedding - don't take a chance, partner with Avi and DJUSA and they will deliver!! We are so glad that you held such a wonderful experience for our big day. Thank you and the entire DJUSA team -- you guys rocked! We would definitely recommend your work to friends and family. It was great to have met you guys. I\'m sure we will connect again for another celebration soon! First, let me just say- WOW. Never did I expect our enormous dance floors each night to be packed like we were at some Vegas night club. You did a PHENOMENAL job DJ\\\\\\\'ing our wedding and keeping the crowd going until the very end of each event. So many people came up to us praising our DJ because you flawlessly transitioned between Hindi, Telugu and English music and everyone absolutely loved each bit of it. It\\\\\\\'s usually a task getting Telugu uncles and aunties dancing but the second the dance floor opened up, everyone ran up and danced the night away which is a huge deal! I know it takes a large team to execute a wedding like this, but it\\\\\\\'s because of super skilled and hard working people like yourself that make it as amazing as it was. My absolute favorite was the reception night when you brought out all the fun props on the dance floor. Everyone LOVED those and the whole dance floor looked so cool all lit up. Marco also did a fabulous job of MC\\\\\\\'ing and getting the crowd excited at all times. He has such an awesome demeanor and it was so fun having him on the dance floor the whole night dancing with everyone. Overall, Shravan and I, including both of our families, are so happy with your work and can\\\\\\\'t wait to work with you again in the future for any other events. GREAT JOB! I did fill out the questionnaire you sent over a few moments ago and sorry for the delay. We just got back this past weekend and its still been a little to get everything together. I can\'t thank you enough for everything! The wedding was a huge success and sounds like everyone had an amazing time and that is largely contributed to you guys. The lighting looked incredible, the white dance floor was great and the music was amazing. I had so many people compliment me on it and you guys really did an incredible job. I\'m pretty sure people were dancing the whole night. Everyone commented on how awesome the event was. I had so many people compliment me on the DJ and how he was killing it. I can\'t express enough how happy we were with the whole night and that is hugely due to Sharad and the team. Everyone was dancing and having a great time! Thank you both SO much for making our night so memorable! Everything was great, and we couldn\'t be happier. We received many compliments on how good the DJ was at our wedding! Thank you for all your help along the way, for making sure all our needs were met, and for keeping the dance floor going all night!! Hey guys ...Sejal and me just want to thank you guys and your team for a fabulous job! The party was everything and more that we imagined it to be. All our guests are still talking about the party and how great everything looked, how much fun they had and how awesome the music was. Even the staff at the Garden City Hotel said they haven't seen an event like this in awhile. They gave a lot of props to your set up crew- said they were very professional. The photographers and Vegas girls were top notch . It makes me very happy to see young guys like yourselves doing such and great job. Keep it up! Don't ever compromise the service you provide and the passion you have. The party is just getting started!!! Cheers! See you soon ! You guys are beyond the best and we sincerely thank you for all you guys did for us!!! Our event was as good as it was because of the whole DJUSA team!!! AVI -- THANK YOU FOR HELPING US THROUGH IT ALL GETTING EVERYTHING TOGETHER AND ORGANIZED AND MAKING SURE THINGS RAN THE EXACT WAY WE WANTED IT TO BE!!! LEE -- OUR GOBO PERFECTLY FIT WITH OUR THEME SO THANK YOU! ALEX -- OUR STAGE WAS COMPLETE THANKS TO YOU! JUICY -- MUSIC WAS PERFECT! NOT ONE COMPLAINT WHICH IS IMPOSSIBLE WHEN YOU DEAL WITH A MALAYALEE CROWD BUT YOU DEFINITELY DID A JOB WELL DONE!!! MAX -- FROM 2006 I ALWAYS SAID I WANTED YOU TO MC MY WEDDING, THANK YOU FOR MAKING MY WISH COME TRUE! 500 MALAYALEE PEOPLE ARE NOT EASY TO HANDLE IN ONE ROOM BUT YOU WERE PERFECT! SHARAD -- SAYING THANK YOU WOULD NOT BE ENOUGH FOR WHAT YOU DID FOR US! JUST KNOW THAT YOU PLAY A BIG ROLE IN MAKING PEOPLES SPECIAL DAYS EVEN MORE SPECIAL BY THE WAY YOU OPERATE! TRUST ME WHEN I SAY, I TRUST SHARAD!!! I just want to say thank you to you and if you can convey my thanks to Rohit who did a great job yesterday! You all did a wonderful job last night we couldn't be happier!